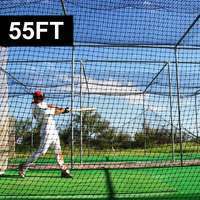 Professional standard, semi-permanent Baseball Backstop Netting System. 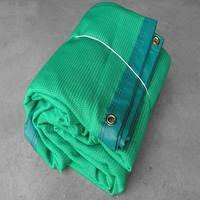 Package includes sockets, pulleys, cleats and hauling ropes. 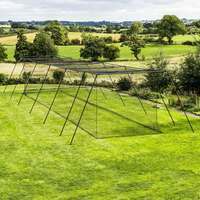 Choose from 12ft and 20ft heights and various lengths. 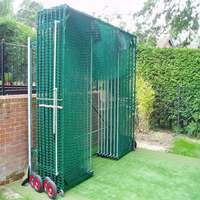 Each post is manufactured from robust aluminum but weighs only 20kg (44lbs) so you can simply slot into the ground and remove when needed. 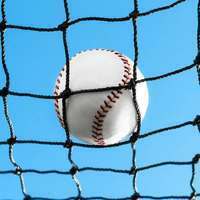 Each post is fitted with a pulley, cleat, and lifting rope system to make raising and lowering your heavy-duty baseball netting a breeze! 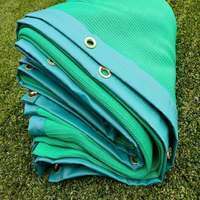 The UV treatment given to the baseball backstop netting protects it from damage from direct sunlight and makes it 100% rot proof for use all year round. 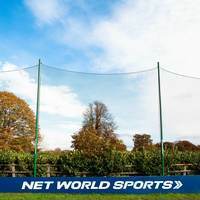 This high quality removable baseball backstop net and post system is designed for maximum protection of spectators and surrounding at baseball venues and stadia. 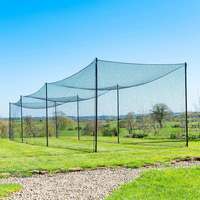 The combination of robust aluminium ball stop posts and heavy duty ball stop netting makes this complete backstop system reliable, durable and also highly practical thanks to the simple installation requirements. 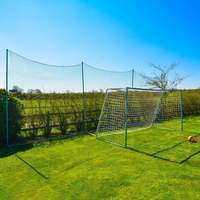 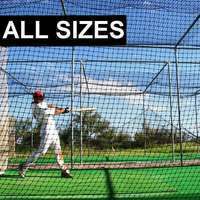 As well as baseballs, our highly durable, robust baseball backstop netting will stop a range of sports ball from footballs and soccer balls to tennis and lacrosse balls. 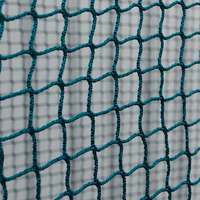 The net is completely rot-proof, easy to hang and UV treated for long life. 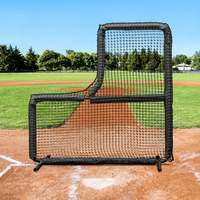 The ball stop posts of this baseball backstop netting system are formidably strong yet conveniently lightweight, allowing them to be placed into the ground sockets by hand without mechanical lifting equipment. 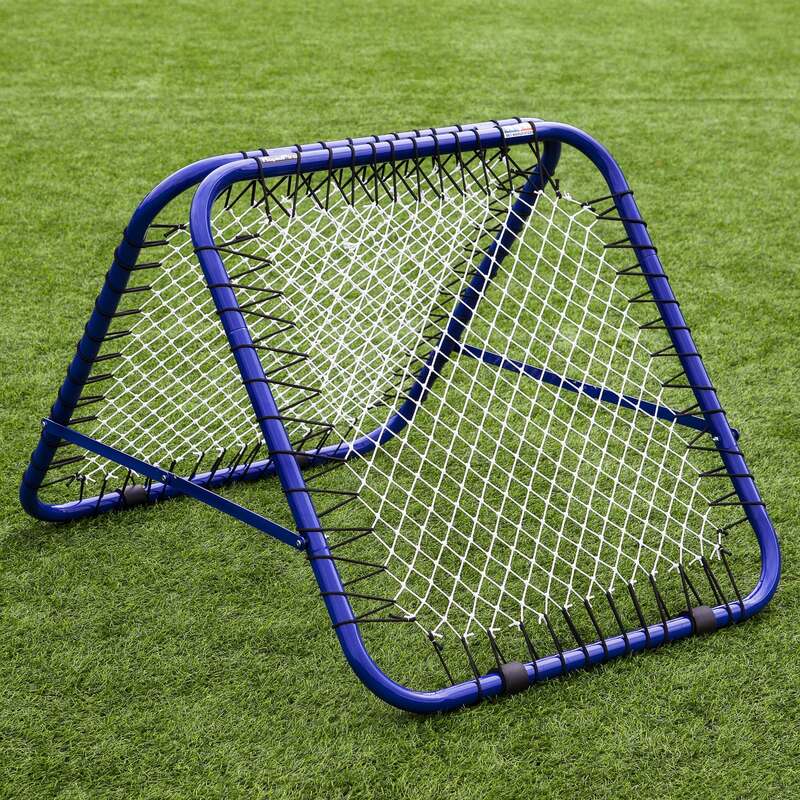 This will save both time and money, so your team can focus on playing ball! 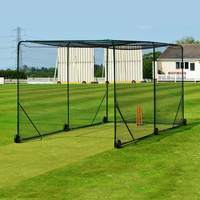 Please note that the ground sockets will require concreting into the ground, a service we would recommend you utilising a professional builder or contractor.